I received the postcard above, together with a coincidence story from Mrs Jean Barnes. It's about her mother-in-law Betty Barnes. Betty is now in her early 80s and was given the postcard, about five or six years ago, along with others for a bring-and-buy stall at her church fete. As she glanced through the postcards she was sure that the lady and gentleman walking along the promenade, to the right of the picture, was herself and her late husband Jimmy. Betty looked at the back of the card and saw that it was postmarked 30 May 1963. 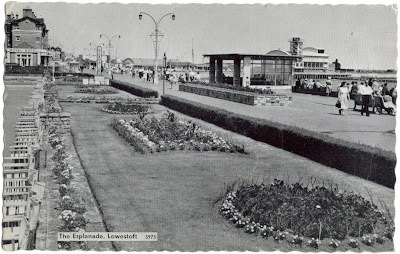 She remembers 'as if it was yesterday' how she and Jimmy went to Lowestoft (England) for a holiday in 1962 and how they often walked along the sea front on the Esplanade promenade. So the date ties in with when the photograph for the postcard may have been taken. Another strange thing though is that on the back of the postcard the message ends 'Love Gladys', which just happens to be the name of Betty's mother - who just happened to be born on the 30th of May! Good one! This is one of those stories where you wonder...okay, who's pulling the strings? 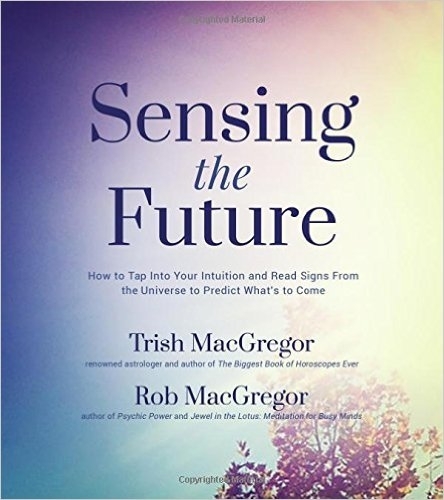 I recently read a comment by a synchro expert that synchronicities all originate in the personal unconscious - as opposed to the collective unconscious. This story - like so many others - says otherwise. thats a good story mike. lots of odds against from this happening.